Well I am out in Siwa, I decided to miss Marsa Matruh, long story. The people out here in Swia are wonderful, very friendly, and welcoming. I am planing on staying for awhile. The hotel I am at, which is located right in the market square, is only 30LE a night with my own bathroom, which is less then $6.00 a night. I might move at some point in time to the Palm trees hotel, I can get a single room with a shared bathroom for 15LE which is less then $3.00 a night, plus they have a nice palm grove to kick back in and it’s on the quite side. Yesterday I was walking the in the neighborhood and ran into this family. I showed them my camera and took a picture of them. They invited me for tea out in there field out in the palm grove. They are farmers of palm dates, parsley, and other things. They did not speak much English, although we were able to communicate on a very limited level. They loved my camera. After working in the field and having tea, they brought me to there house. Big extended family. They all loved my camera, and all the kids can say in English; what’s your name. I sometimes say “quick draw mcgraw” they seem kind of perplexed from it. I am going to try to get the pictures printed to give to them. When I was getting off of the bus last night, 5 to 8 kids bombarded me asking where is my hotel, they are the taxi drivers powered by donkey carts. Lots of donkey carts, bicycles and motorcycles out here. Many people speak English out here because this is a big time tourist place. My first ten days have seemed like a whole month. I don’t know if I will be in Egypt the whole six months. Basically, it really doesn’t matter, I can leave and go anywhere I like. Although, from Siwa I can have someone take me across the desert to Bawiti for about 600 LE. We will see about that, or I will have to back track through Alex. One thing I can change plans and do all the Oasis first and then head back to Cairo and then down the Nile. I will contemplate this idea for awhile. There is lots of fruit in town, I try to eat a few bananas a day plus I have started to drink some milk. The whole cream milk taste very good out here. I am also going to start drinking the orange juice and such things. Last night I met this guy from Alabama, he was kind of cooked out. We talked about the challenge that this country it to travel, he said that China is also very challenging. Then this single woman came into the restaurant and she was from Canada, she is traveling alone and has been for a whole year. She has been to west Africa, then Romania, Turkey, Syria, Jordan, Israel, and now Egypt. She is heading out for India on the fifth. We agreed the Alabama guy is kind of strange. Although we all three met at different times this 75 year old guy from Denmark, we all got a good laugh from him, what a weird, comical type of guy; talk, talk, talk, I guess even the Egyptians were getting kind of irritated on the bus the girl said, lol, which we found to be funny because they are not into silence at all in Egypt. The noise makes me hungry. I met the Denmark guy at the hotel. The Canadian woman and I might hang out today. I told her, she is an encouragement for me, she said I will get use to traveling the backpack way. We all agreed that the tourist goes on tours, They head in and head out quickly on their way. 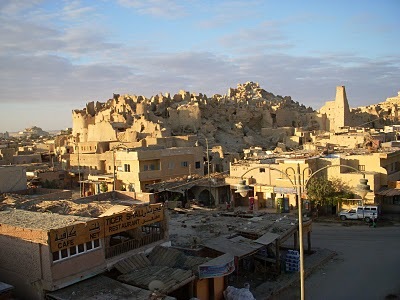 I will be hanging around Siwa for awhile, at least two weeks. They do only have dial up for the Internet so pictures are taking awhile to upload. 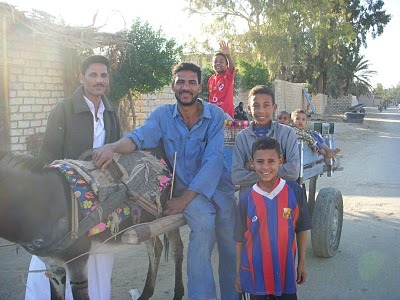 Next post: Siwa – The Culture. Previous post: Pictures Around Alex.